Counsellor Korovou convened a follow-up meeting with the Department of Trade and Industry (DTI) Philippines on Wednesday, 25th February 2015 which was presided over by Mr. Raymond Albert H Batac, Executive Director Foreign Trade Service Corps. Officials from the various divisions of the DTI viz Bureau of Micro & SME Development, Consumer & Industrial Division, Export Marketing Bureau, Business Development Division and Industrial Policy Service were in attendance. 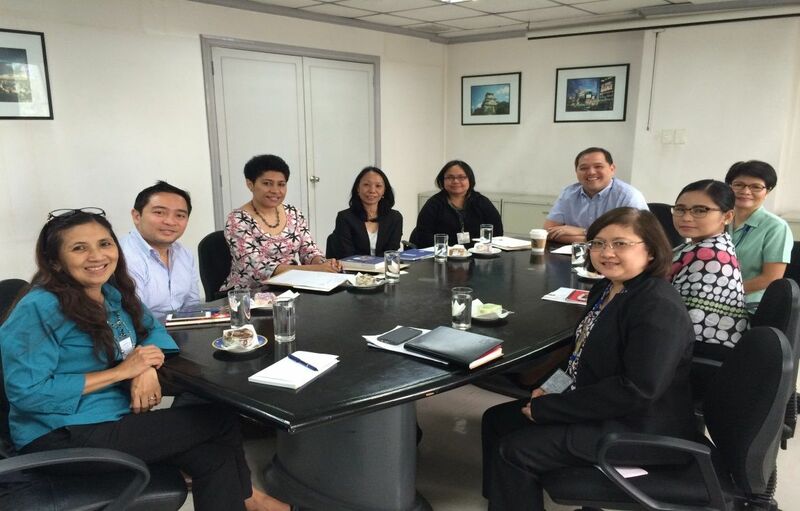 Counsellor Korovou and Officials of DTI Manila. At the top right is Mr. Batac Executive Director Foreign Trade Service Corps. At the outset, Counsellor Korovou sincerely thanked Mr. Batac and his Officials for their warm reception and remarkable presence. She underlined the purpose of her meeting was to follow-up on certain issues that were last discussed at their first meeting held in October 2014 and also to initiate meaningful cooperation that are mutually practical and beneficial. The meeting reiterated the fact that there is currently insignificant trade between Fiji and the Philippine hence, the logic to explore other areas of feasible meaningful economic cooperation. Counsellor Korovou mentioned that the first Philippine/Fiji DCA is soon to be completed and ratified by both the Ministers for Foreign Affairs expectantly by 2nd or 3rd Quarter of the year. To that end, she remarked that the Agreement would leverage some of the cooperation prospects that would be classified in this and subsequent meetings. DTI’s request for a copy of a Draft DCA for their information and views was noted. Few issues were drawn from the outcomes of the previous meeting which encompassed the Philippine national and international trade and investment exhibitions such as the FAME, IFEX, as well as how Fiji would like to learn from Philippine’s best practices in the management of SMEs and Micro-business as this is one of the development policies of the Fijian Government to growing a sustainable economy. Mr. Batac advised that it would be ideal for Fiji to first participate as an observer in such immense expositions to gauge the nature of business environment, product types and quality of participants to assist with their diligence on the level of participation – whether as a trade or investment player in successive events. An invitation to Fiji for the next exhibition was noted. Counsellor Korovou explained that given the paltry level of trade and investment between the two countries it would be ideal to seek cooperation in the areas of capacity building in terms of self-help projects in fashion design and jewelleries, SMEs enhancement, entrepreneurship and management courses for women, and investment/product packaging and promotion strategies for export products. Mr. Batac and the DTI officials concurred with the capacity building cooperation alluded to as appropriate and practical to build and progress economic relations between the two countries, particularly given the backdrop of the Philippine’s economy as constituting 99% of SMEs. It was noted that the APEC 2015 in Philippines will host SMEs workshops focusing on capacity building in supply chains – food, handicraft and automotive as the focal products. Counsellor Korovou mentioned that Fiji though not a member of APEC was invited by the Russian Federation Government who played host in 2012 to participate at the APEC meeting in Vladivostok. 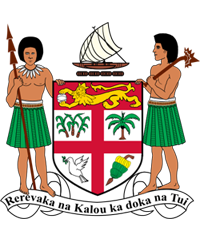 In that regard, the Bureau of SMEs considered to issue Fiji an invitation to participate at their APEC SMEs programme. Keen interest focused on fashion design and jewelleries using local resources unique to Fiji per se. Counsellor Korovou mentioned that though this is an infant industry in Fiji there is significant potential based on the talents being demonstrated by youths. Assistance to help produce fashion and jewelleries for high end markets abroad was underscored, as such sector is envisaged to create self-help projects and employment for the Fijians if appropriately supported with the right learning aptitude, skills and entrepreneurial knowledge essential to successfully produce for international niche markets. As such, the DTI recommended dialogue with certain Departments and Organisations to further discuss this initiative, namely the Design Centre of Philippines and Department of Science and Technology. DTI advised that it would be fitting for Fiji to promote its indigenous fabric/resources by maintaining their look but evolve them to attract high end markets. Tax incentives, capacity building, product specification/development, initial financing facilities and subsidisation of raw materials including private sector partnership were underscored to have all contributed to the successful and strong SMEs in the Philippines. DTI mentioned that an ideal cooperation in which Philippine could pursue with Fiji is to learn from its tourism development success inclusive of the construction process of five star hotels and related infrastructure, an area that Philippine endeavours to advance. By common consent the following were identified as practical spheres of cooperation to explore: exchange of information; capacity development; exchange study missions; expositions and tourism/hotel development. Both parties committed to effect necessary follow-up to progress mutual beneficial economic cooperation between Fiji and Philippine. In closure, Counsellor Korovou thanked Mr. Batac and his team for their time and invaluable exchanges.